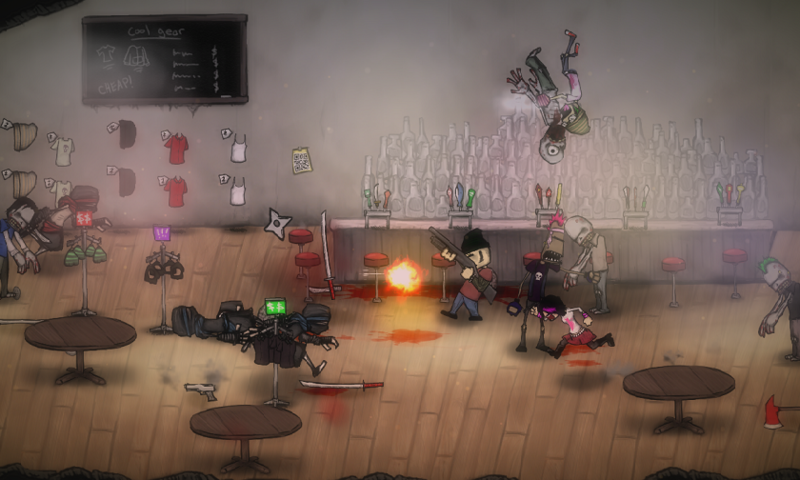 Charlie Murder is liked the love-child of Streets of Rage and Castle Crashers, in a spiked jacket. Though using said description would probably leave anyone bewildered, it’s pretty much accurate. 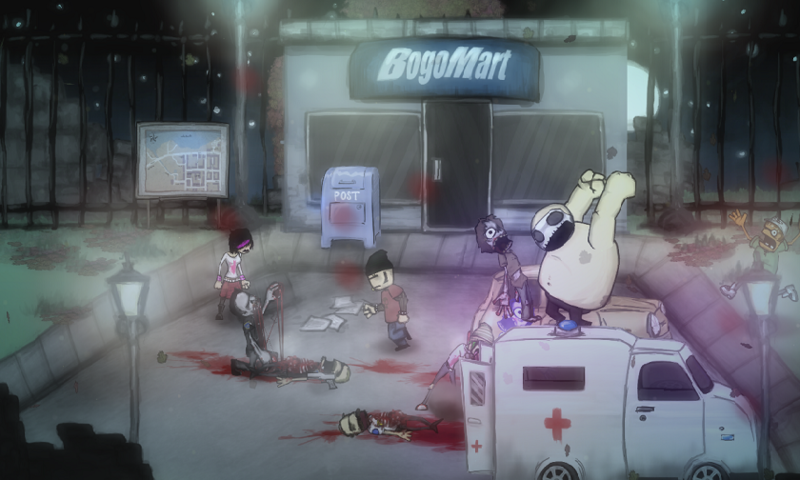 A smaller title which was a part of Microsoft’s Summer of Arcade 2013, Charlie Murder comes from Ska Studios, a two-man indie outlet who were promoted to the mainstream with Dishwasher: The Dead Samurai, and emphasise old-school gaming with bloody cartoon violence. It wears its aesthetics on its sleeve, carving a style which is certainly unique. Its 2D action is solid too, if a bit rickety in spots. Charlie Murder’s action is anchored by a straightforward, dark plot. You’ll follow the exploits of the titular punk band, which are left for dead at the start of the game by a rival metal band. It comes to the surface that one member of the rival band was a former friend of Charlie, who was kicked out of the band and began to fester immense jealousy and anger. Whether you emphasise with him is down to your preference, but somehow all this unleashes hell on earth and releases zombies, ninjas and demons. So much punk angst. 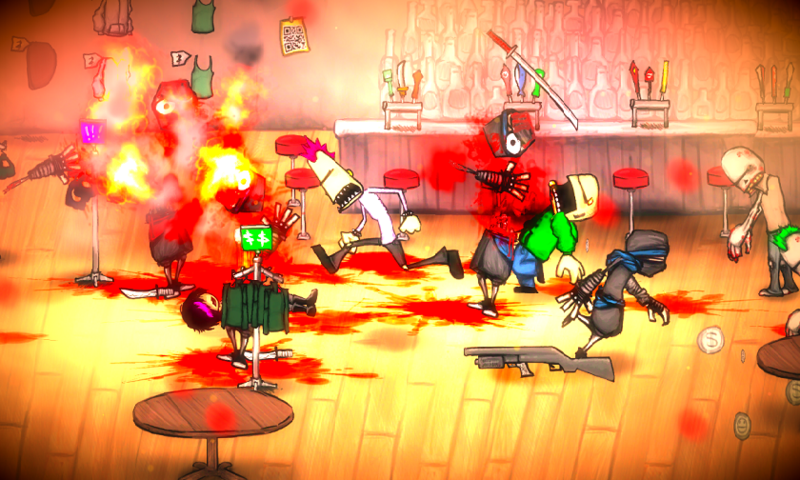 Charlie Murder blends Streets of Rage-style brawling with role-playing elements. Characters come equipped with two attacks and a grapple, as well as abilities through Tattoos, and combat is spiced up with limited-use weapons and environmental hazards. Impressive is the sheer variety of objects you can use, including – perhaps a tad sadistically - limbs detached from enemies. Attacks feel responsive, movement is smooth and the action is vicious, though at times it can become repetitive as you grind. In terms of combat, it is a worthy successor to the classics of yesterday, even if it’s not any more original. RPG elements come in the form of five classes and loot. Among the traditional Mage and Shaman classes, Bezerker allows you to dual wield weapons while the Tank lets you pick up huge objects. The classes feel distinguished from each other, if a touch unbalanced. The tank, in particular, feels cumbersome to use. Humorously, levelling up is accomplished through gaining followers on Twitter, and choosing equipment is meaningful as improving certain stats allow certain equipment to be worn. Outside of combat and RPG elements, some other mini-games are present. Throwback side-scrolling sequences are nostalgic, but dull due to the lack of challenge. QTE-based mini-games pop up frequently, though they mostly serve to add plot details rather than entertain. 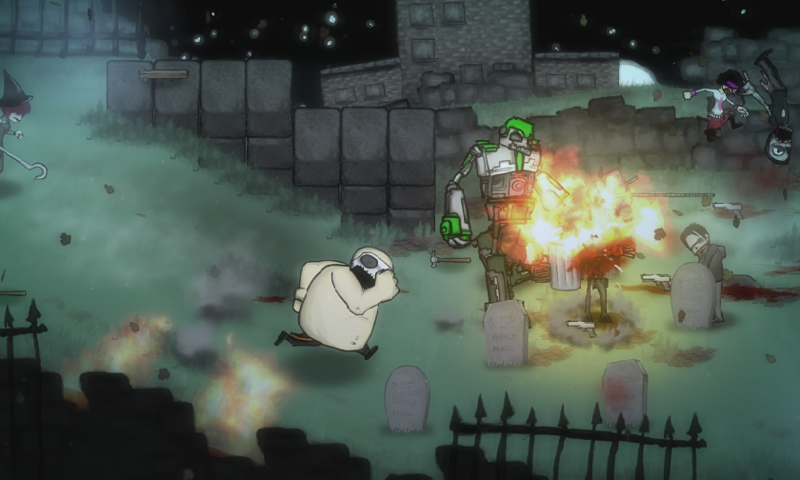 Charlie Murder is a co-op game at its core, which is both its strength and Achilles heel. The problem is that frustrations pop up whether playing solo or with others. When playing alone, the action can become frustrating due to poor checkpoints. The world is tied together through a map system, and only locations marked on the map offer checkpoints. Anything in-between forces you back to the beginning of said area, and can cause you to rip your hair out as you’re forced to face waves of enemies and even bosses again. Unlockable difficulties are downright sadistic to attempt by yourself, often requiring you to tirelessly grind until the section can be conquered or go co-op. The party went down like a house on fire! Co-op is frustrating for entirely different reasons. The good news is that the entire game can be played, locally or online, with three other players. The bad news is that friendly damage is enabled, and when the action gets frantic to the point that it is difficult to see your companions, this is quite an issue. The matchmaking system also feels flawed. You can’t search for specific levels when finding other players, classes can only be chosen once – which in turn can force you into using a class which you haven’t levelled up yet – and checking the inventory forces everyone to wait for each other and slows down the pace. Lag can also be a huge problem, often causing chaotic games to become completely scattershot. Charlie Murder distinguishes itself with its presentation, which follows a lot of traits Ska is known for. The dark colour palette and roughly drawn characters mesh well together, brightened only by the huge amount of blood splatter. Little animation quirks each character perform give the game charm, making the game feel like an 18+ version of Rayman Legends, and the combination of Punk motifs and satanic demons fits. The sound design is great too, with a mixture of scratchy punk beats and carefully crafted tracks which pay tribute to games of yesterday. The vicious combat sounds are welcome, too, though repetitive clips characters spit out when attacking are not. Charlie Murder is difficult to rate. It does a lot of things differently, plenty of things right, but enough things wrong to narrow its audience. The old-school beat ‘em up action is simple but brutal enough to be fun, the RPG elements work well and the presentation is unique. But frustrations can dampen the enjoyment, mini-games dull the edge, and co-op just isn’t strong enough to maintain longevity. Three difficulties keep you coming back – and the latter two are particularly brutal – but these can be frustrating to attempt, solo or co-op. 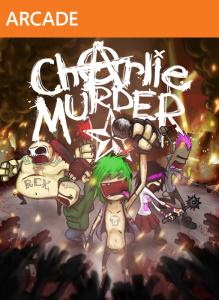 That being said, those who enjoyed the likes of Scott Pilgrim and Castle Crashers should get a dozen or so hours of fun out of Charlie Murder.